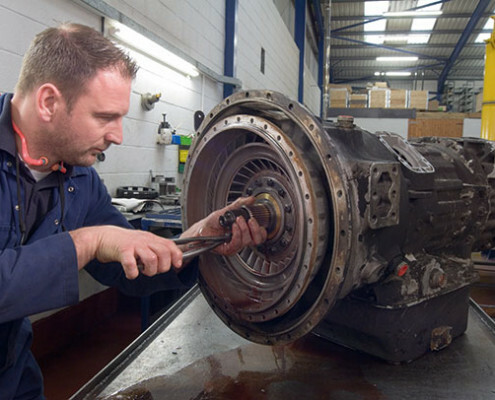 In the event of a transmission failure our aim is to keep downtimes to an absolute minimum. If a fully reconditioned unit is not available from our extensive stock then your old unit will be stripped and rebuilt as quickly and cost effectively as possible. We offer a nationwide diagnostic service where our fully trained personnel can diagnose problems/faults on site. Our own vehicle collection and delivery service is offered free of charge should your transmission have to come to us for overhaul.